The old Hochschild Kohn building once served as the main warehouse for the Hochschild Kohn department store chain. Founded in 1897 and known simply as Hochschild’s, it was Baltimore’s largest department store for most of the 20th century. 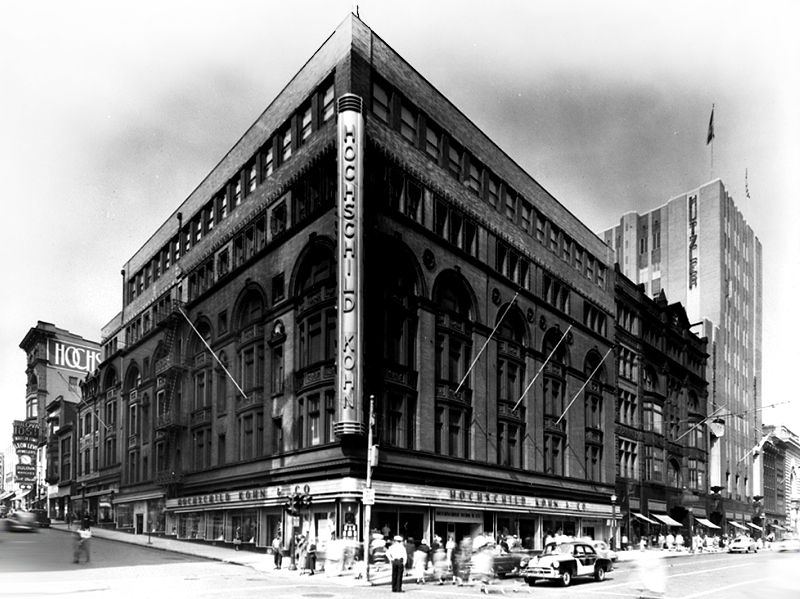 In 1942, after taking a powerful loss during the early years of the Great Depression, the Hochschild Kohn & Co. Department Store was finally ready to expand. An anchor for this planned growth was their brand-new warehouse at 520 Park Avenue that housed all of the sundry items that the department store offered. 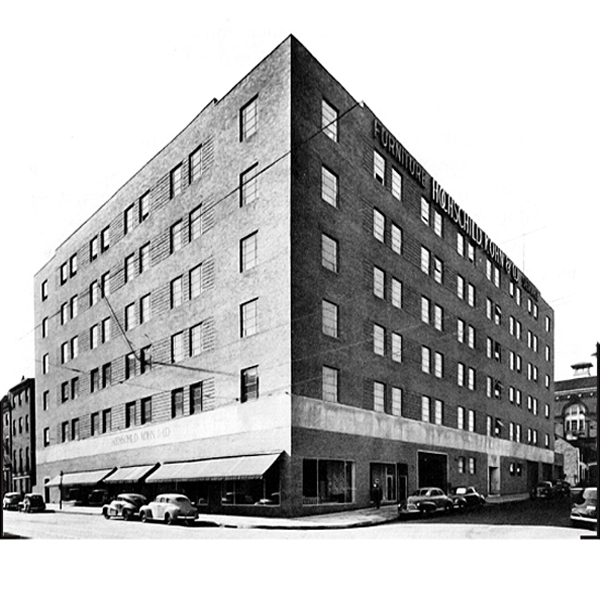 Founded in 1897 by Max Hochschild and brothers Benno and Louis Kohn, Hochschild Kohn was the first of Baltimore’s big department stores to expand beyond the downtown shopping district of Howard and Lexington Streets. Entering into 2015, the building has since been revitalized by The Time Group & WPM Real Estate Management. 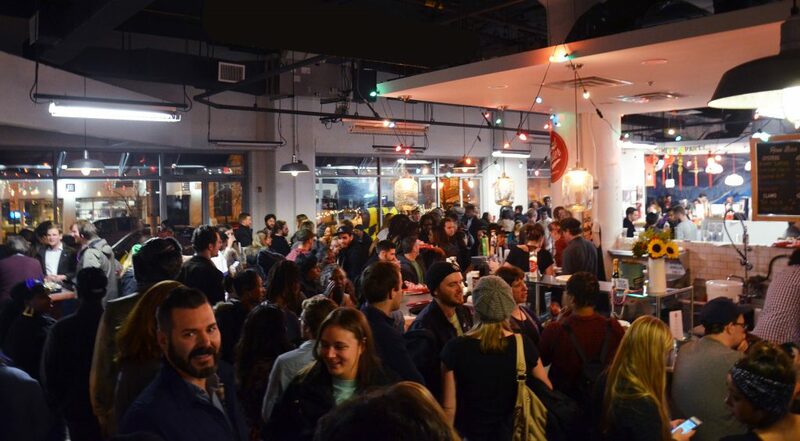 The revamped city space has been transformed into one of Baltimore’s finest foodie destinations. Creating a vibrant new place for community, small businesses, residential opportunities and commercial gatherings. The philosophy behind this: protecting the heritage of the Mount Vernon community, close involvement with Baltimore arts, music and literature societies and, above all, the nurturing and growth of small businesses. Join us at the Market for lunch or dinner, entertain a party, hold a gathering, grab a cold drink or just drop by to say HELLO and check out what’s new!